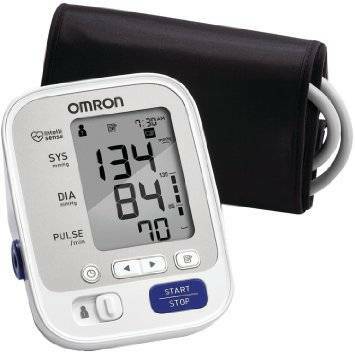 The Omron 742N is an at home Upper Arm Blood Pressure Monitor. The monitor has a setting for multiple users and will hold 100 readings in its memory. Uses Omrons Wide Range cuff to fit arms of 9-17 inches. The monitor also features an irregular heartbeat detector, and will average 3 readings taken over the course of 10 minutes.